When the name The Three Degrees is mentioned, immediately their most famous song When Will I see You Again comes to mind. True this international hit was no. 1 in the USA, England, and Japan. That alone would be enough for many other groups, but there is more to this trio than that. 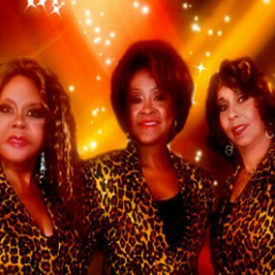 For example: command performances for the Royal Family (they have been Prince Charles’ favourite vocal group and they were among the few from America to be invited to the wedding of Charles & Diana), subsequent international fame, movie credits, and even the Guinness Book of World Records (the record for the longest running female trio). 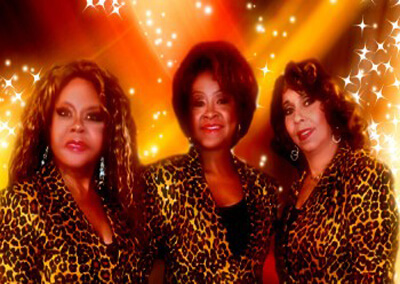 The Three Degrees comprises of Helen Scott Leggins, Valerie Christie and Cynthia Garrison. Helen and Valerie, who are founder members of the group since its conception in 1966, met as teenage singers and embarked on the first of many national tours. The trio worked extensively, covering every region in America from New York’s Copacabana to all the major rooms in Las Vegas. They frequently tour Japan & Europe.